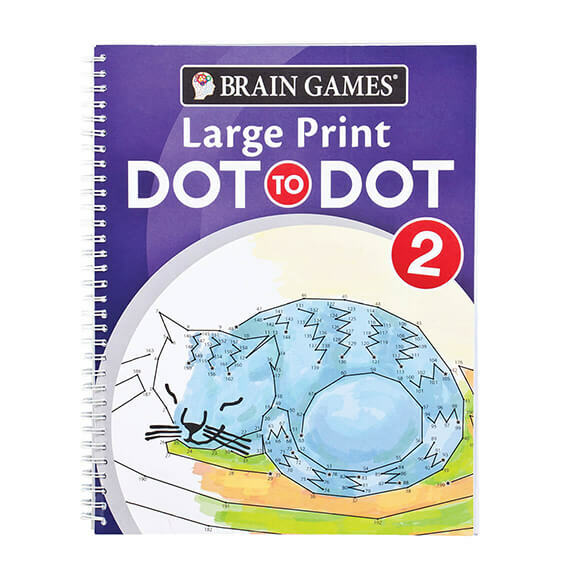 Designed to work your brain without straining your eyes, these Brain Games® Large Print Dot to Dot puzzles are printed in LARGE, easy-to-read type! 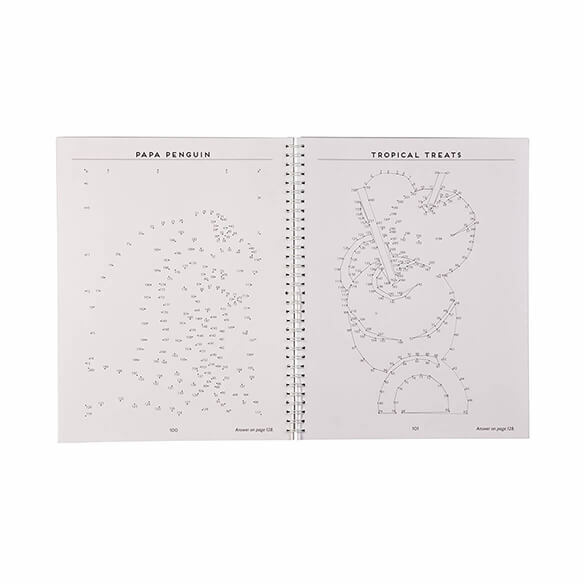 Helping enhance focus and concentration while you relax and enjoy without squinting or struggling to see, the classic dot-to-dot book features a variety of visual themes. 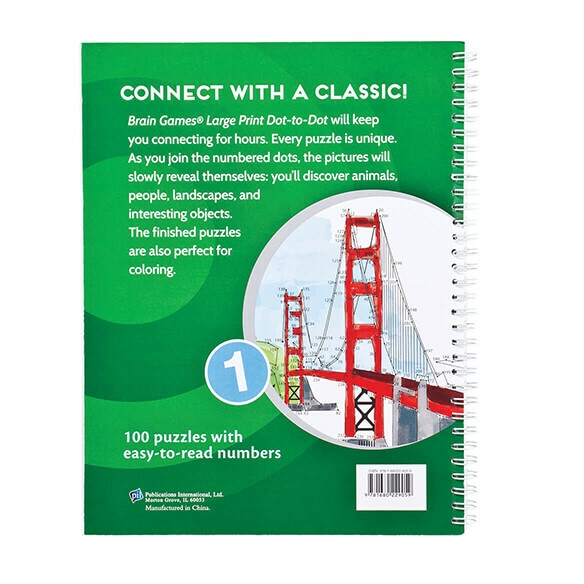 Version 1 includes animals, famous people, landscapes and everyday objects; Version 2 features buildings, action scenes, food and famous people. 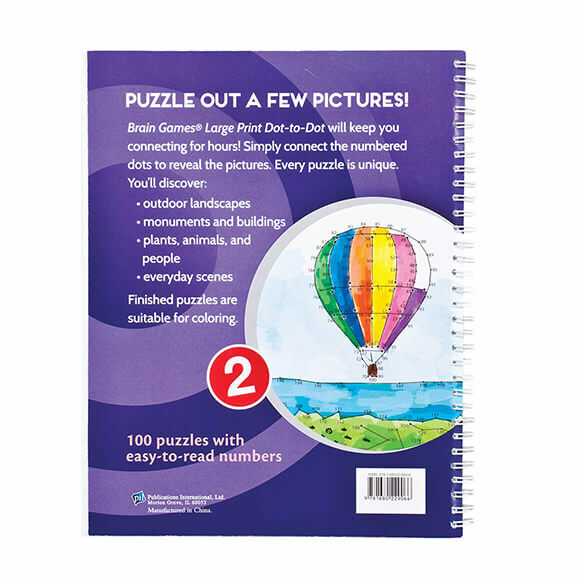 Spiral binding keeps each Brain Games large print book flat during use, and single-sided perforated pages are perfect for tearing out and displaying your finished pictures. Choose from 2 styles: Version 1 or Version 2. This will be my first time ordering. So I would see how this book is. I NEEDED SOMETHING TO KEEP MY MIND BUSY. To try to keep my mom's mind active in a fun way. I enjoy these dot to dots haven't seen before your catalog. I have over 10 dot-to-dot books. The easy to read ones are the best and they are hard to find in the stores. I liked this one for that very reason. I enjoy puzzles like this but have failing eyesight, this seemed like a good thing. 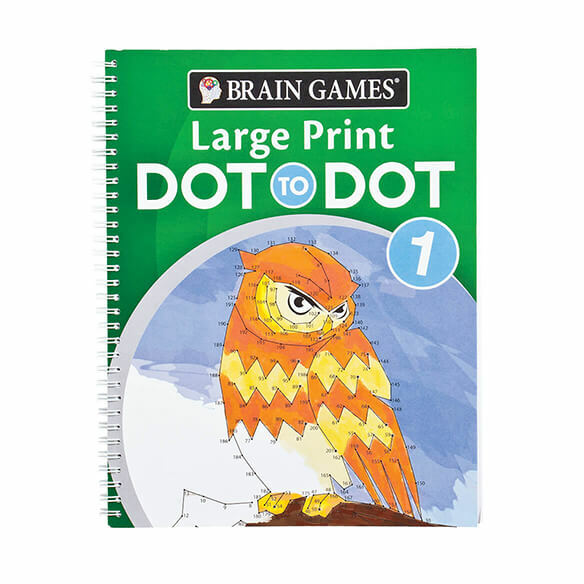 My son has vision problems and he loves dot to dots. My husband is always looking for these books. He loves doing the puzzles, and I sometimes color them. So when I saw these two books, I knew he would love them. It oops like a fun puzzle book. I love puzzels and d0t books are hard to find. I used to do these puzzles as a kid and am looking forward to doing them again. Because it is large print and I like doing this kind of puzzle to keep my mind sharp.